Memorial Day, an annual federal holiday observed in the U.S. on the last Monday of May. Originally known as Decoration Day, it began when southern ladies organizations and schoolchildren decorated Confederate graves in Richmond and other cities during the Civil War. By the 20th century, Memorial Day had been expanded to honor all Americans who have died in all wars. Many people visit cemeteries and memorials to honor those who have died in military service and also place an American flag on each grave in national cemeteries. Some of these statues and memorials have been reproduced in miniature. A distinctive memorial on the Gettysburg Battlefield, the Irish Brigade Monument honors three New York Regiments who combined their state appropriations to erect the bronze and granite monument that was dedicated on July 2, 1888. A Limited-edition pewter sculpture stands 5¼" high including the walnut base. 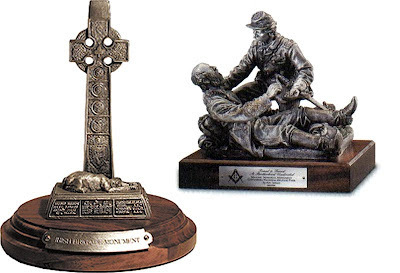 A Masonic Civil War Memorial called, “Friend to Friend” has two military figures. Navy memorial statues have been reproduced in Pewter including the Lone Sailor and Homecoming. 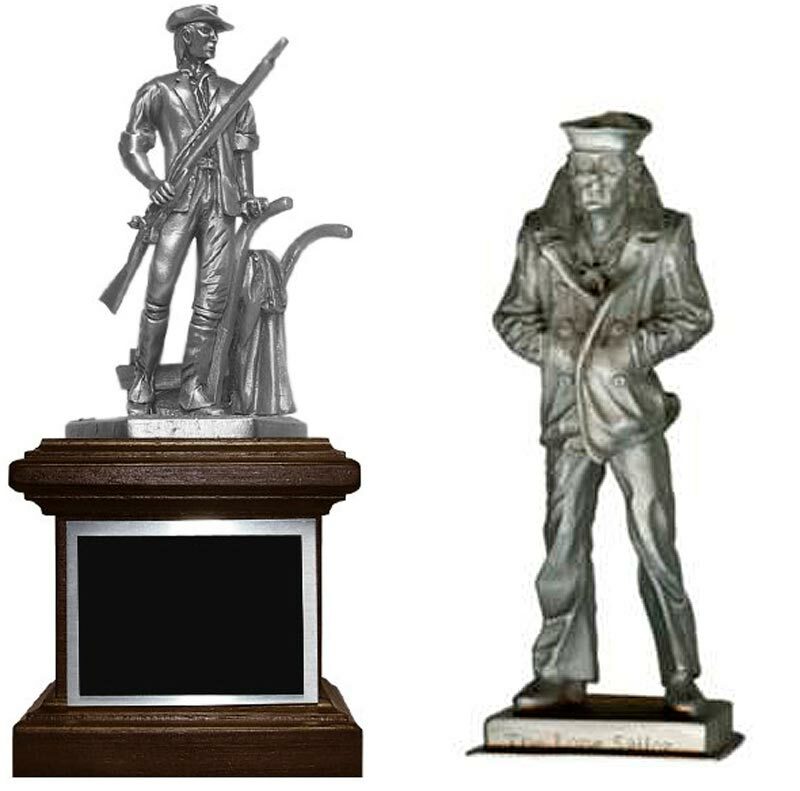 A solid pewter Minuteman statue on top of square solid walnut base stands 4.5" tall. A large Iwo Jima replica of the famous Arlington, Virginia memorial is available at an online gift shop. A northern Colorado Veterans Plaza Bronze Maquette Statue replica is for sale in 3 sizes and prices.